Through this site the Parish Council will publish information regarding its current and future activities to those it serves and to actively seek the participation of its parishioners. 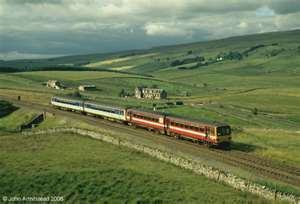 We have also provided space for general information and the promotion of Garsdale and Grisedale. Visitors are welcome to leave comments and make suggestions on the Have Your Say section. We encourage you to explore all the various menu sections. Garsdale Parish Council now has a full complement of members, for the first time in many years. It is great to see more residents taking an active interest and volunteering to support our community. Even though we currently have no vacant positions, we are always happy to hear from residents in the dale who may be interested in getting involved with the parish council, so feel free to contact any member of the council or just come along to the next meeting.